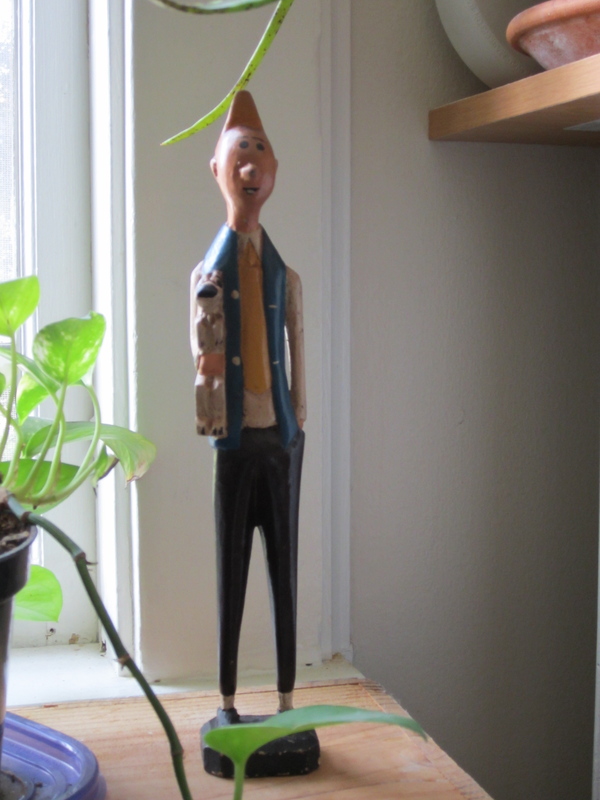 Tintin is a favorite character around our household. Both Christopher and I grew up reading Herge‘s picture books and comic strips about the pint-sized Belgian journalist and watching Tintin cartoons on TV. Though more embraced by European audiences, Tintin, Snowy and the rest of the crew came into our lives early through childhood yard sale finds and library book borrows with tales of international adventure, espionage, political intrigue and good old fashioned pluck. Despite the presence in some of the books of some questionable cultural stereotyping – and, in one notable case, plain old ugly racism – Tintin’s globe-trotting, whiz-bang adventures have stayed with us since, notably resulting in the form of gifts to each other. When we started dating and I mentioned to Christopher my desire to continue studying French, he bought me ‘Tintin en Amerique’ (in which Tintin visits the States and encounters both Chicago mobsters and Native Americans (who, of course, get cheated out of their land), discovers oil and is thrown a ticker-tape parade. 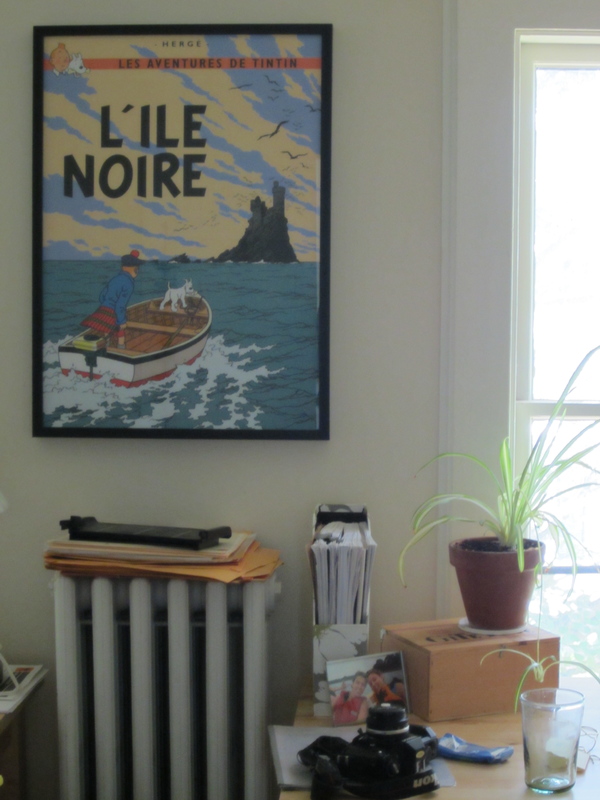 I bought Christopher (of Scottish heritage) this poster for a Christmas gift and it now hangs between our two desks. The favorite by far is a recent find by Christopher during a recent trip to Southern Africa. Isn’t he marvelous? A Tintin film is now in the works. After seeing the trailer, I’m a bit skeptical, but trust the capable hands of Peter Jackson and Steven Spielberg. We just hope they adore Tintin as much as we do.